DETROIT, Mich. (January 31, 2019) - As the Motor City prepares for the 30th Grand Prix event in Detroit's history this summer, the Chevrolet Detroit Grand Prix presented by Lear is looking for a few hundred volunteers to help host this year's event - held May 31-June 2 on Belle Isle. Grand Prix volunteers will become members of the Detroit Grand Prix Association (DGPA) and will serve as ambassadors for the Grand Prix, Belle Isle and the city of Detroit during race weekend on Belle Isle. One of the most popular annual events in Detroit, the Grand Prix will once again help wave the green flag on summertime in the Motor City while celebrating the festival's heritage and history in 2019. The DGPA hopes to recruit approximately 1,100 volunteers for this year's event and with over 500 people already registered for 2019, the organization is looking for several hundred more to join the team. DGPA members assist in nearly every aspect of the Grand Prix on Belle Isle, working as ushers and ticket scanners, providing hospitality shuttle services and more during the three-day motorsports festival on Belle Isle. Volunteers will also get the opportunity to experience the Grand Prix from behind the scenes and be part of a very positive event in the community that remains focused on giving back to Belle Isle Park. Those interested in becoming a DGPA volunteer for the 2019 Grand Prix can visit www.DetroitGP.com and select the "Volunteer" link. "We're so thankful to all the members of the Detroit Grand Prix Association for supporting our event and creating a first-class experience for everyone that visits Belle Isle and attends the Grand Prix," said Bud Denker, Chairman of the Chevrolet Detroit Grand Prix presented by Lear. "Our volunteers are simply the best. They care about Detroit, about Belle Isle and they take pride in making sure everyone has a good time and a positive experience at the Grand Prix. I'm amazed by their passion, their dedication and their teamwork every year and if you want to volunteer and be part of a special event with a great team, we encourage you to join the DGPA." DGPA departments that still need volunteers for the 2019 Grand Prix include circuit marshals, customer relations, ticket scanners, information services and more. To join the DGPA and become a volunteer for the Chevrolet Detroit Grand Prix presented by Lear, members pay an annual fee of $20 - but anyone that signs up by the end of the day on February 1st will pay a reduced rate of $15. This fee covers a number of volunteer benefits including a membership patch, commemorative lapel pin and access to pre- and post-race parties for DGPA members. The Grand Prix also provides each volunteer with a credential to access the venue on race weekend, official uniform shirts and hat, free off-island parking, a shuttle ride to Belle Isle and lunch each day of race weekend. For more information on the DGPA and to sign up to volunteer for the 2019 Grand Prix, visit www.DetroitGP.com. ABOUT THE CHEVROLET DETROIT GRAND PRIX PRESENTED BY LEAR The Chevrolet Detroit Grand Prix presented by Lear is a 501(c)3 organization and a subsidiary of the Downtown Detroit Partnership. Scheduled for May 31-June 2, 2019, the event will include the Chevrolet Dual in Detroit featuring the cars of the NTT IndyCar Series, the Chevrolet Sports Car Classic with the exotic sports cars of the IMSA WeatherTech SportsCar Championship and the Trans Am Series presented by Pirelli. Partners for the 2019 Grand Prix include General Motors and Lear Corporation. 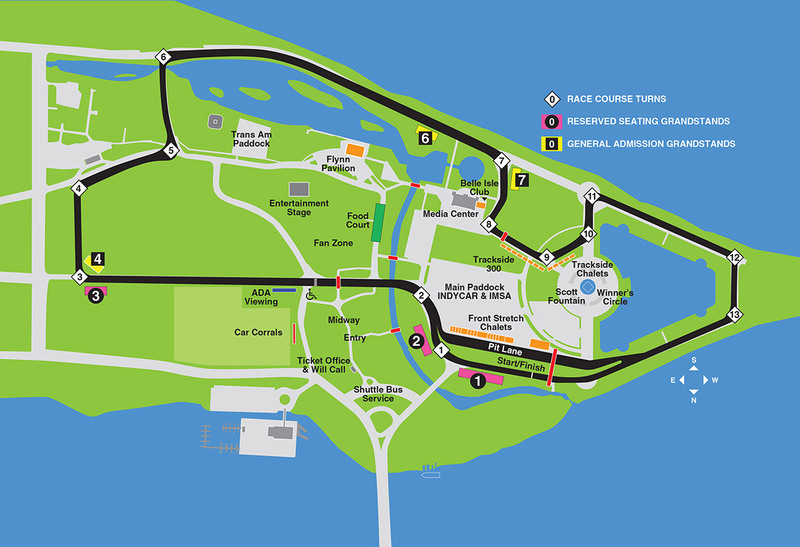 For more information, visit www.DetroitGP.com and follow our social media pages at www.facebook.com/detroitgp, www.twitter.com/detroitgp and www.instagram.com/detroitgp.